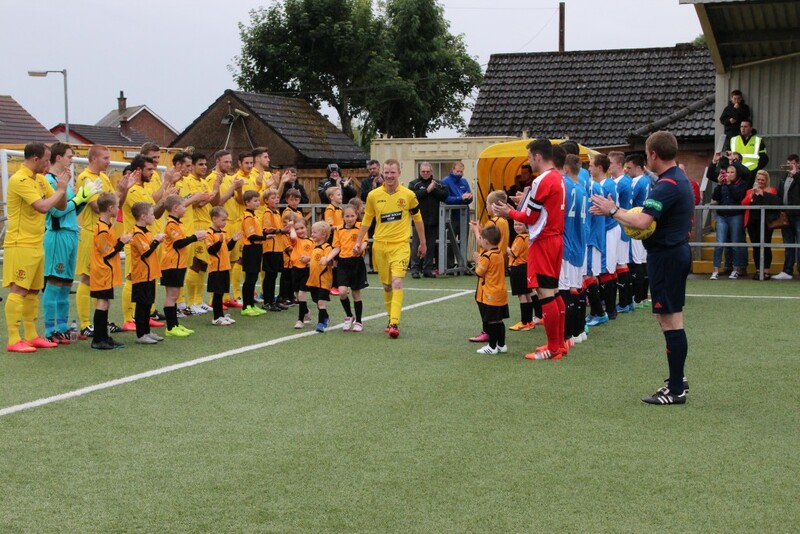 It was a cold wet miserable evening for the Steven Sloan Testimonial match against the Glasgow Rangers Youngsters on Tuesday evening but the fans turned out in numbers with a crowd approaching 1000 to pay tribute to the long serving Annan player, and to also see at close hand the up and coming Rangers players. It was also an opportunity for the Annan fans to cast their eye over their team prior to the League Cup tie against Queen of the South on Saturday. Annan went ahead in the 10th minute when Weatherson liftedd the ball over the Rangers defence and Stuart McColm calmly lobbed the ball over the advancing Liam Kelly in the Rangers goal. Weatherson was unlucky not to double Annan’s lead when his header from McColms cross struck the post in the 20th minute. Rabine Omar increased Annan’s lead in the 30th minute when he rifled in a vicious shot from 15 yards. Annan’s first half joy was completed in the 44th minute when Matty Flynn combined with Peter Weatherson for Flynn to finish from 6 yards. Rangers made 4 changes at half time and it had an immediate effect when Ryan Sinnamon headed in from close range. Rangers were playing some neat controlled football but were finding it difficult to break down the well marshalled Annan defence. Annan substitute Smart Osadolor was only on the pitch for 5 minutes when he restored Annan’s three goal advantage when he won the ball out wide before making a bee line for goal and finishing with a shot into the corner of the net under keeper Kelly. Scott Norman came close when he ended a good move involving Todd and Osadolor. Scotty Roberts pulled a goal back in the 74th minute after a good Rangers move opened up the Annan rearguard. Smart Osodolor had the final say when he connected with Dan Wadges cross in the 80th minute.